Quest Topup delivers maximum flexibility, reliability and efficiency of topup management. It offers full online money management, recharge management and professional integration services. 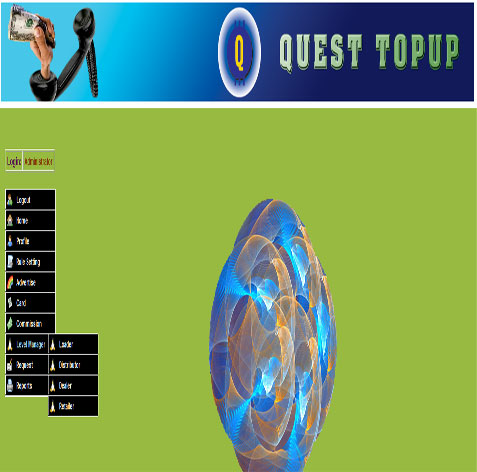 Quest Topup provides the opportunity to assign commission every level (distributor/dealer/reatailer) and when topup request is sucessed by retailer, the amount balance will be deducted based on commission. Every level (distributor/dealer/reatailer) checking during Top request, if not enough account, Topup request not success. Setting the rule (Ascending, Descending,Round Robin Ascending,Round Robin Descending),i.e. which loder get the Topup request. Manage every level information, i.e. name, address etc. Every level can view balance and commissions.